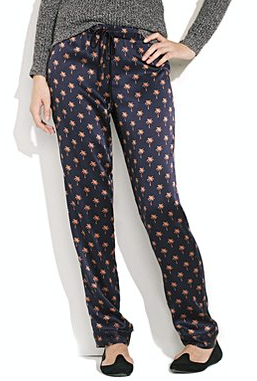 First are some on trend pajama pants for $200 (there's also a matching top also for $200). Also a pleated leather skirt for $375 - wooo leather skirts! Finally, a super covetable shrunken biker jacket for the pricy amount of $500. Everything feels really overpriced and unspectacular to me - at these prices I would probably instead turn to labels like Alice + Olivia, Marc by Marc Jacobs, Vince and Theory! For some reason I feel like Madewell should stick in a slightly lower price point and compete more with stores like Anthropologie and Free People. Doesn't $140 for the pants, $275 for the skirt and $399 for the jacket all sound a lot more reasonable? There were also some cute boots, that seem to have already sold out - better check in store quick!